Precious metals futures posted very modest changes Tuesday, aside from platinum which advanced 1%. Gold for June delivery edged up $1.10, or 0.09%, to settle at $1,292 an ounce on the Comex division of the New York Mercantile Exchange. "The safe haven is still trading near the $1,290/ounce level, where it has remained stuck for a week now, showing little response to developments on the trade or geopolitical fronts," MarketWatch quoted Marios Hadjikyriacos, a strategist with brokerage XM. 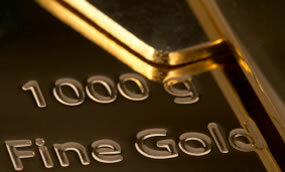 Gold futures traded from a low of $1,287.20 to a high of $1,296. They slipped less than 0.1% (40 cents) on Monday. Silver for July delivery added 5.5 cents, or 0.3%, to finish at $16.575 an ounce. Silver futures ranged from $16.46 to $16.70. They rose 0.4% on Monday. July platinum climbed $9 to $908.80 an ounce, trading between $896.30 and $912. After surging 3.2% on Monday, palladium for June delivery declined $3.60, or 0.4%, to $986.80 an ounce, ranging from $982.700 to $1,000.30.